Frozen Chocolate Cream Cheese Pie made with cream cheese, sugar, semi-sweet chocolate chips, whipped cream, and a graham cracker crust. 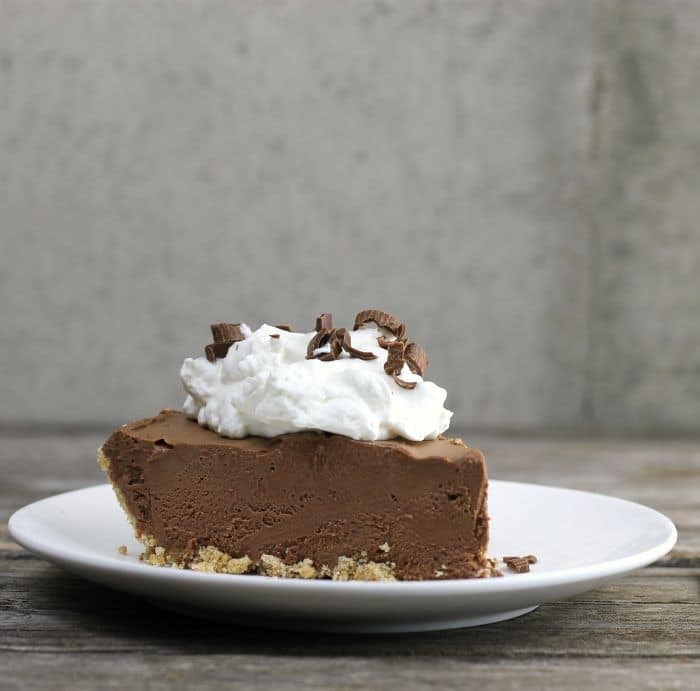 Frozen Chocolate cream cheese pie so easy to make and you can make it the day before you are going to serve it. 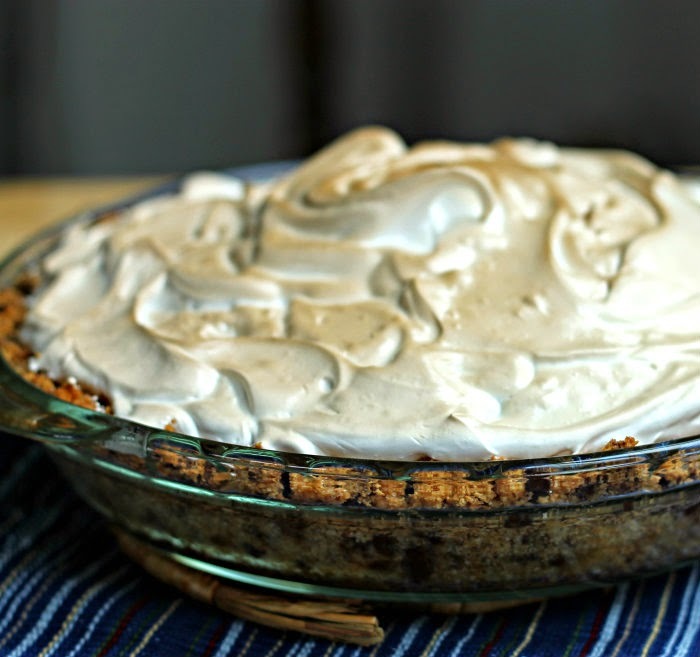 Need an idea for pie for your Thanksgiving Day? 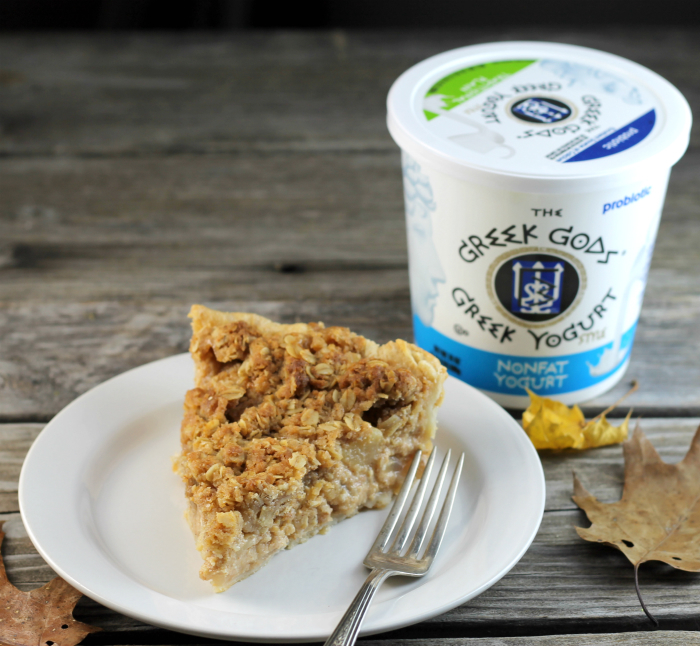 Why don’t you try this Greek yogurt pear pie, it is sure to please everyone around the table?! This post is brought to you by The Greek Gods® Greek-Style Yogurt, as always these thoughts and opinions are my own. My mom gave me a piece of her rhubarb plant so we could plant it in our garden and have our own rhubarb. This was quite a few years ago, it is amazing to see how big it has gotten over the years. It was just a few weeks ago that we noticed it was peeping out of the ground this year and now we have rhubarb coming out of our ears. 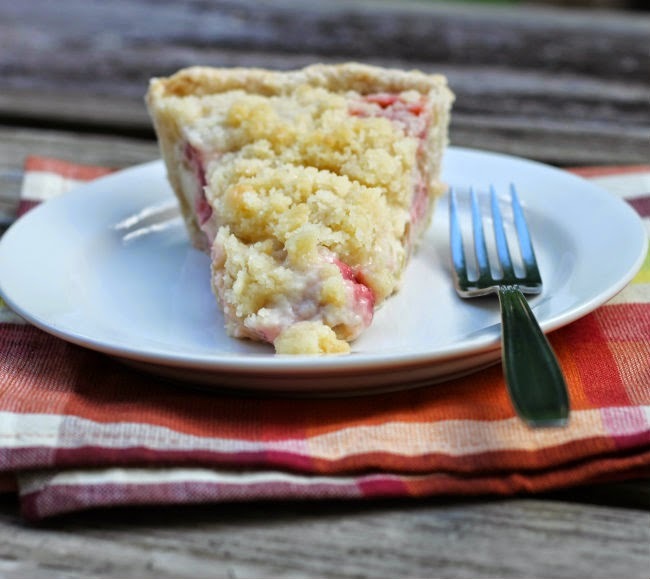 Mike and I really love rhubarb, but I don’t have too many recipes that I make with it. With all the rhubarb that we have in the garden this year I have been on a mission to try new recipes. One thing that I have never made with rhubarb before is pie, so I attempted my first rhubarb pie over the weekend. I decided to throw in some strawberries with the rhubarb, since I have always heard that they make a great combination. 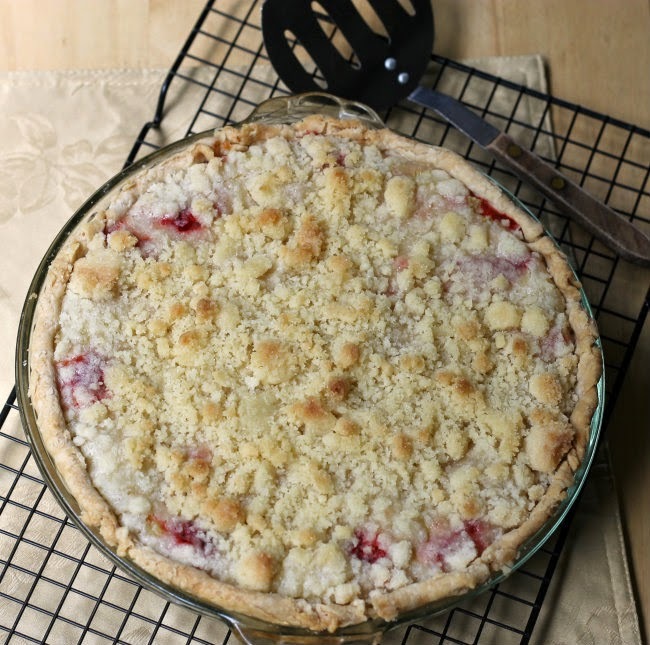 I wanted a custard type pie and after looking at several recipes I decided to change up a sour cream apple pie (that we love) and use rhubarb and strawberries instead of the apples that I usually make with this recipe. 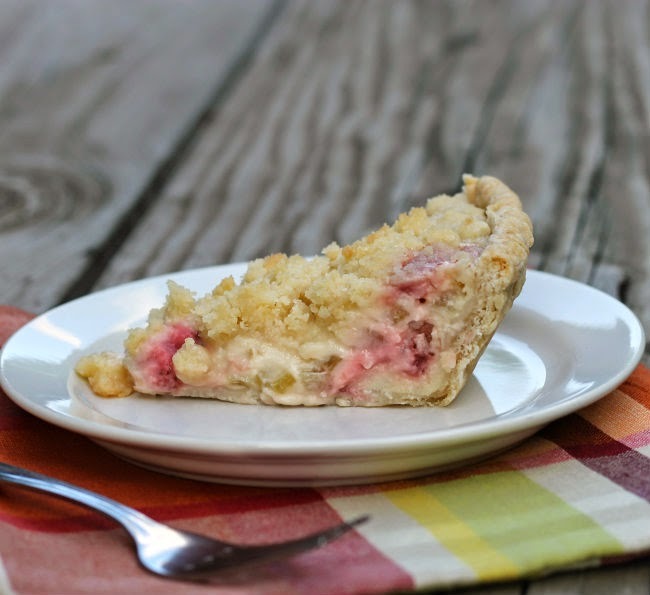 The pie turns out to have a nice creamy custard base to it and we love the flavor of the rhubarb and strawberries in the pie. A great dessert to end any meal. 2 Sift dry ingredients together. Combine the sour cream, eggs, and vanilla, add to the dry ingredients and beat until smooth. 3. Add the rhubarb and strawberries to the sour cream mixture and mix well. 4. Pour into the pie shell. Place in the preheat oven for 15 minutes. 5. 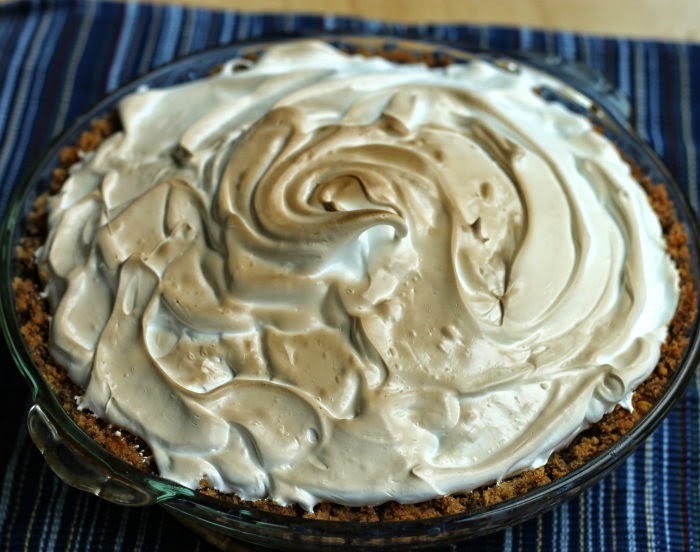 While the pie is baking for the 15 minutes make your crumb topping. Mix the flour, sugar, and butter and mix well. 6. Once the pie has baked for 15 minutes remove from oven and reduce temperature down to 350 degrees. Sprinkle the crumb topping over the top of the pie and return to the oven. 7. Bake for another 30 minutes or until crumb topping is lightly brown and center of pie is firm. 8. Cool completely. Store any remaining pie in the refrigerator. 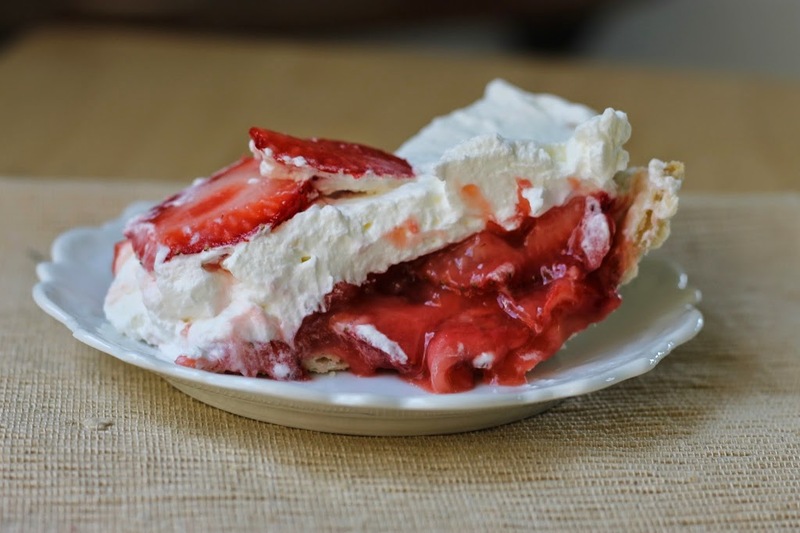 Strawberry pie… a perfect end to any meal. I am loving the fact that warmer weather has finally arrived. With the warmer weather I have been seeing some of the summer fruit in the grocery stores. I have been buying some strawberries that actually taste like strawberries, not the tasteless ones that you see earlier in the spring. I had decided to try my hand at making a strawberry pie; I don’t think I have ever made one before. When I found one by Martha Stewart I decided to give it a try. I did misread the recipe, I was supposed to use two quarts of sliced strawberries, but I used one. Does that ever happen to you? I do it every once in a while, when I am finished making a recipe and I go back and I see that I was supposed to have added something that I didn’t or I didn’t add enough of one thing or another. Actually sometimes the recipe works out just as well even with the mistake. I am not sure if two quarts of strawberries would have fit into the pie shell, it was quite full the way it was. I served it with more whipped cream than what the recipe called for. You can never have too much whipped cream in my book. I brought a piece of the pie for my mom and she asked me for the recipe… she said that it was one of the best strawberry pies she had ever eaten. So I guess it turned out fine even with my little oops. 1. In a medium saucepan combine 3/4 cup sugar, orange juice, 2 cups strawberries, cornstarch, and salt. Using a potato masher gently mash strawberries. Bring to a boil; reduce heat to a simmer and cook, stirring continuously, until very thick, about 30 seconds to a minute. Remove from heat and let cool slightly. Stir in the remaining strawberries. Pour into a baked pie shell. Refrigerate until set, at least 4 hours (or up to 1 day). 3. In a large bowl, beat cream until soft peaks form. Sprinkle with sugar (I add sugar until it taste sweet enough, so add about a tablespoon at a time) over top and continue to beat until soft peaks return. (Do not over beat). 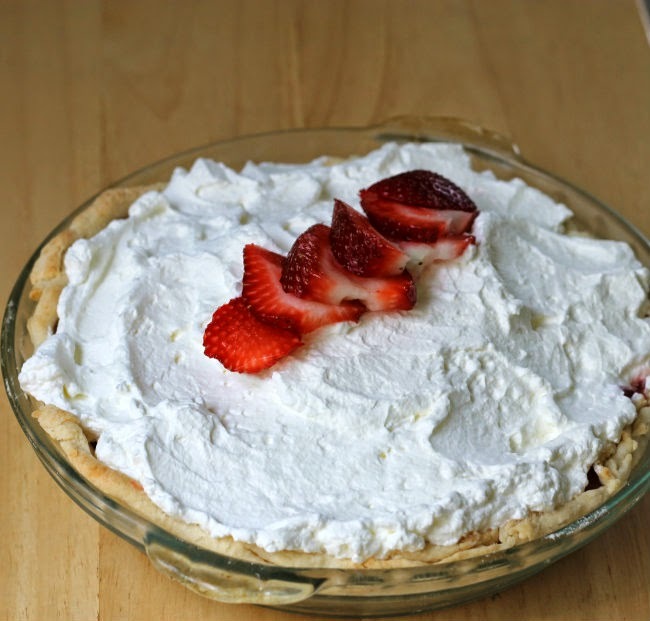 Spread whipping cream over pie. Garnish with whole strawberries if desired. Here is the dessert that we finished up the birthday celebration with; I have been posting about this celebration all this week. It definitely is for the chocolate lovers out there or all of you that love s’mores. My daughter requested a cheesecake topped with fruit for her birthday dessert; which I made for her, but there is something about a family celebration that calls for chocolate. I guess it is the chocolate lover in me that whenever we have a family celebration I start looking for a new chocolate recipe to make. For me a celebration just is not a celebration unless there is chocolate somewhere in the menu. This recipe does take a bit more time than it does take to make s’mores, but it’s well worth the effort. I decided to make my go to graham cracker crust, but spruced it up a bit with some mini chocolate chips. 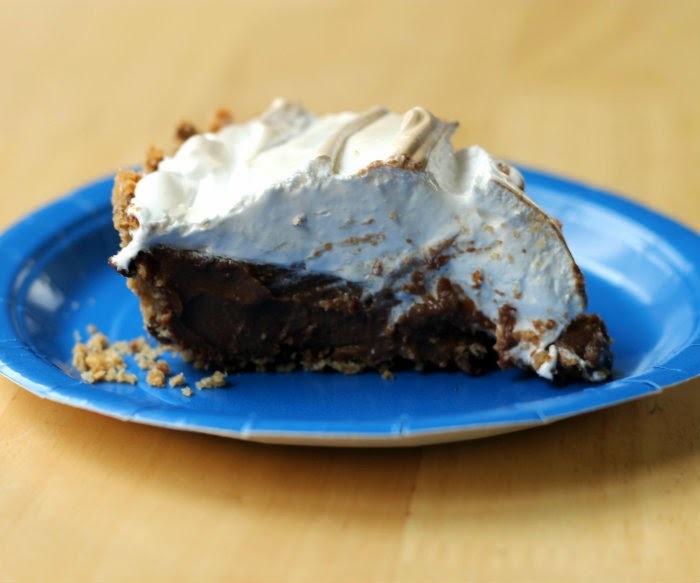 The chocolate filling is creamy and chocolaty, just what you would expect in any kind of dessert with the name s’mores attached to it. 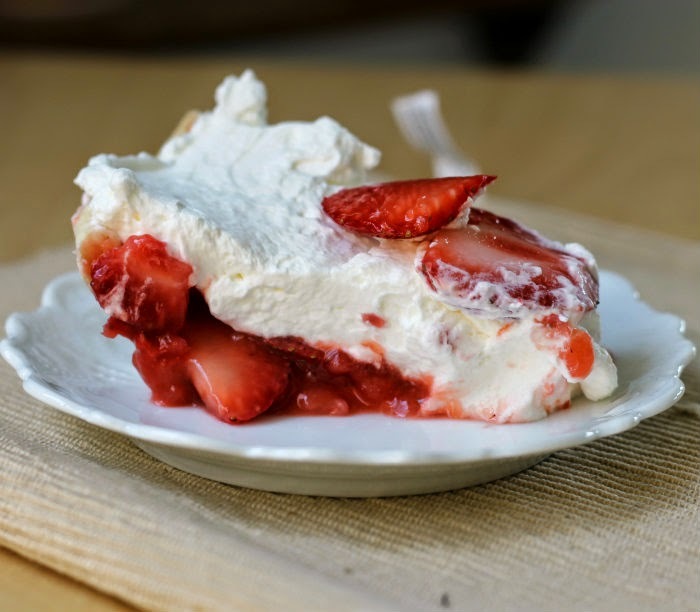 The topping is a cross between a meringue and marshmallow cream, so yummy. The problem with birthday celebrations it does not allow me a lot of time to take pictures and if I wait until after the celebration I may not have anything to take a picture of. So excuse the pictures they may not be the greatest. 1. Combine the graham cracker crumbs, sugar, and melted butter; mix together. Add the mini chocolate chips and gently mix in. Press into a 9-inch pie pan. 2. Bake in a 375 degree F oven for 6 to 9 minutes or until edges brown. 1. Whisk the egg yolks until they are well broken up. 2. Whisk in 2 tablespoons of the sugar and the cornstarch and keep whisking until the mixture is lightened and very creamy. 3. In a large saucepan, heat the cream, milk, the remaining sugar, and the 1/4 teaspoon of salt until it comes to a simmer. Take of heat. 4. Slowly whisk a bit of the hot milk into the mixture, use a large spoon a dribble in a couple of tablespoons at a time, whisking all the while. This will prevent the eggs from curdling. Whisk about a 1/2 cup or so. 5. Return the egg yolk mixture into the remaining cream in the pan and return to low heat. 6. Keep whisking until it comes back up to a simmer – let it simmer for about 30 seconds, whisking all the while. It will get thick and shiny. 7. Return from the heat, and whisk in the butter, a few cubes at a time, until each cube is melted. 8. Add all of the chocolate and mix until it is completely melted and blended in. 9. Mix in the vanilla. Immediately spread the filling into the crust. Cool in the refrigerator for about an hour before making the topping. 1. Using a double boiler or a mixing bowl set over a pan of lightly simmering water. 5. With an electric mixer beat the mixture on high speed for about 5 minutes until the mixture holds a stiff peak. (I mixed in the pan, but if you prefer you put the mixture in a bowl to beat). 6. Immediately spread over the cooled filling. 7. Chill for at least another hour, or up to a day. 8. Before serving, place under the broiler to get it nicely browned. 9. Cut into wedges to serve.